We are just weeks from pitchers and catchers reporting to Spring Training. 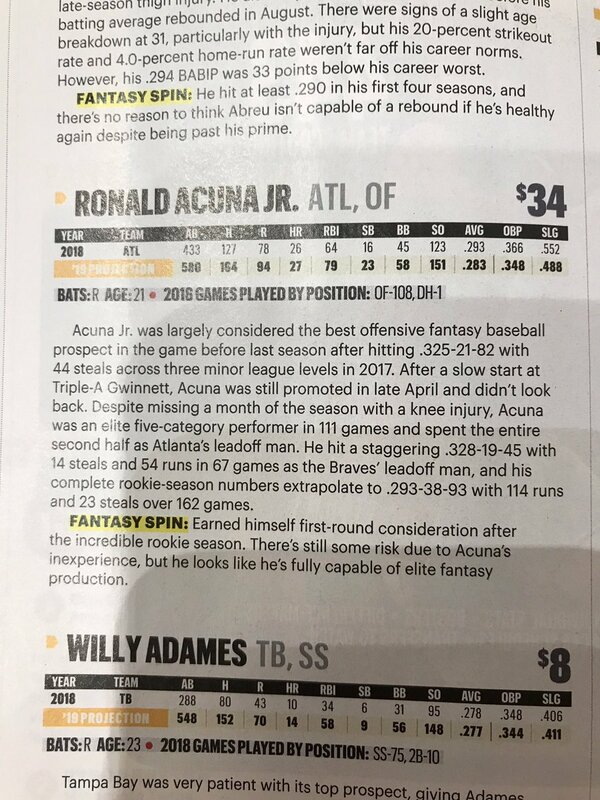 I was at Barnes and Noble last night and was looking at the first round of fantasy baseball magazines. This – even with the snow on the ground – is always a sign that Spring is about to sprung. Equally important, my daughter gave me time to peep what they’re saying about the guy who headlines this post. 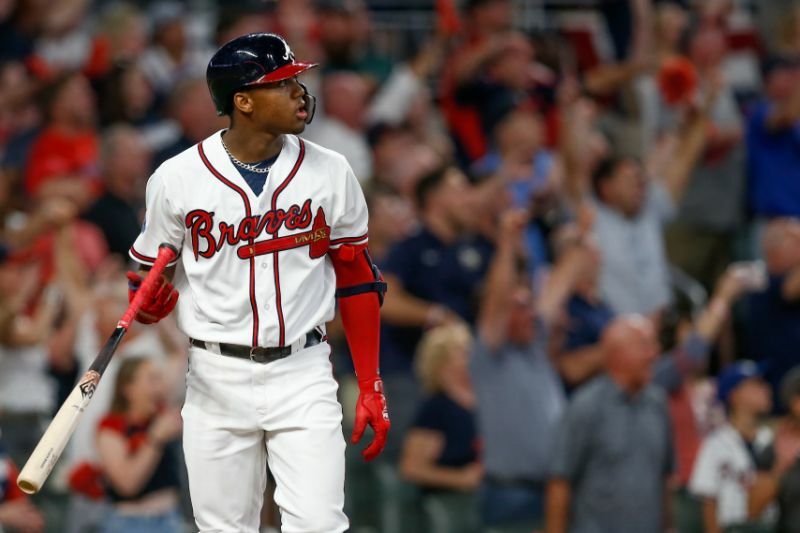 Mr. Ronald Acuna Jr. Moreover, I’m just excited for baseball season. I’m excited to put some bets down each night. I’ll be sure to check out the bet365 app when I do. I had a cool opportunity last night. I was able to interview the Los Angeles Dodgers’ assistant general manager Jeff Kingston which I ran at Dodgers Nation. Interesting material for anyone who wants to hear about what it’s like to work for Theo Epstein and a day in the life of a front office employee. I haven’t been writing here quite as frequently because of my work as an editor at Dodgers Nation. If you want to check out my articles over there, here’s my entire archive from day one. So what else? Well, there’s snow on the ground here in Ohio and it looks the furthest thing from baseball season. Tomorrow is the WWE Royal Rumble, and the NHL All-Star Weekend. I’ll be doing some scouting work for a Major League team soon, transcribing their interviews in preparation for the draft. I am heading to Arizona to cover the Dodgers for Spring Training at the end of February. I’m really looking forward to that – while most of my posts will be over at Dodgers Nation; I’ll definitely throw some goodies up on this site as I have time. I also will probably take another trip to Los Angeles during the regular season to get together with my Dodgers Nation crew. If you enjoy my baseball passion and work, follow me over @DiamondHoggers on twitter. It’s pretty much a one stop shop of all baseball content, thoughts, and the occasional 80’s or classic rock song lyric thrown in. Other than that I’ll keep on rocking here at Diamond Hoggers and keep the shingle hung here. I’ve been working out pretty obsessively for a few months now, and I plan to continue that into the regular season to stay in (somewhat) good shape. Just because I am a dad doesn’t mean I don’t still know how to rock. My life’s an open book. What a ride it’s been – both here writing about the game – and to actually live it. I have been through some crazy times personally lately. My hope; is of course that I learn something, grow from it, and hold onto the memories forever of what I have experienced and learned. That’s all you can really do in life – and in baseball. Each day you wake up and it’s a chance at a new redemption. A fresh start.